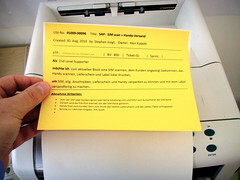 Paste the sticky note on a plain paper and put it in the universal feeder of your printer. Now you may print the user story. 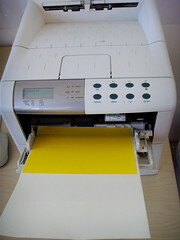 You just have to take care thet the printer is using the universal feeder and not the paper box below. Adjust this in the printer setup. A new user story ready to use & printed on a sticky note. This entry was posted on Sunday, October 10th, 2010 at 12:30 and is filed under better software, business, collaboration. You can follow any responses to this entry through the RSS 2.0 feed. You can leave a response, or trackback from your own site. Can I simply just say what a relief to uncover someone who actually understands what they’re discussing on the net. on the web I found this web site as a best web site for most recent updates.